by loving and serving their mothers. Because of partners like you, 92% of the women we serve choose life for their babies. Over 600 parents attend classes every week, because of partners like you. You can help moms set goals like continuing in school and finding a good job. Not a hand-out, you can reward moms and dads with needed baby items for participating in education. You can help poor children get a head start with books in their home. 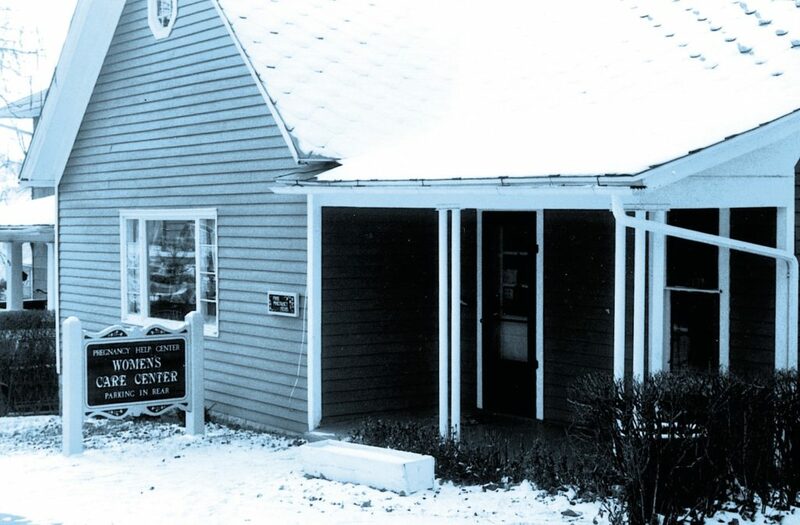 Founded in a tiny blue house on St. Louis Boulevard in South Bend in 1984, Women’s Care Center is now the largest pregnancy resource center in the United States. Primarily through word-of-mouth referral, pregnant women come to our centers early in pregnancy for a pregnancy test or ultrasound. What develops is a trusting relationship between each young woman and her counselor. For the vast majority of women served, choosing life is a process. It doesn’t happen in an instant. It involves continual counseling, problem solving, mentoring, education, tangible help and encouragement. This is why programs to support pregnant women beyond the “decision for life” are so important. Women’s Care Center and those like you who support us so generously believe that being pro-life means service that is continuous for months and years, for as long as is needed for each individual woman.